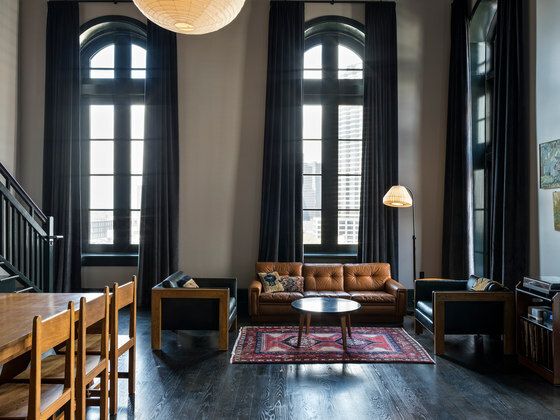 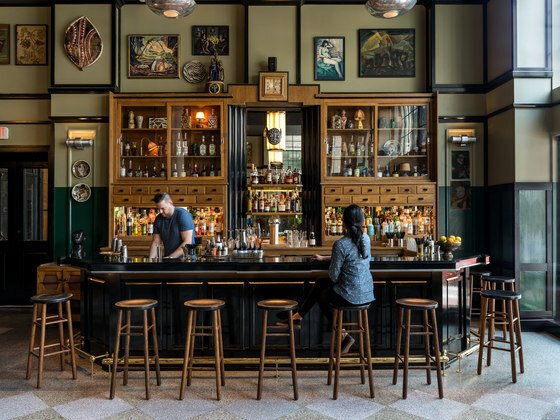 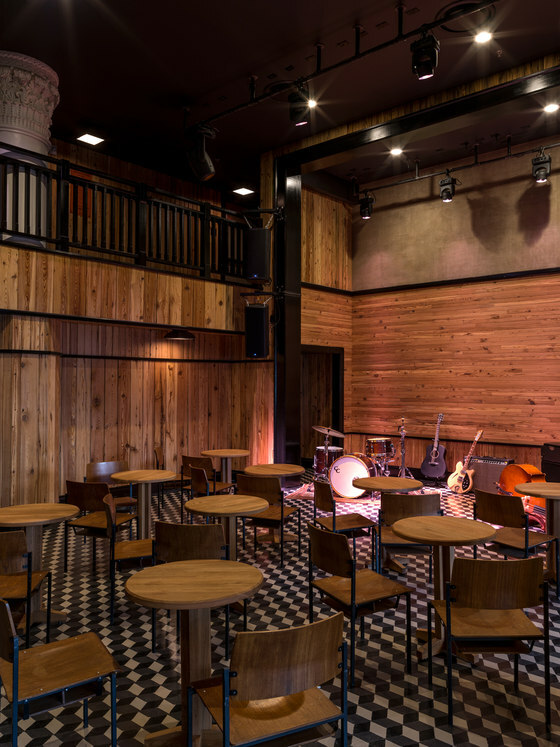 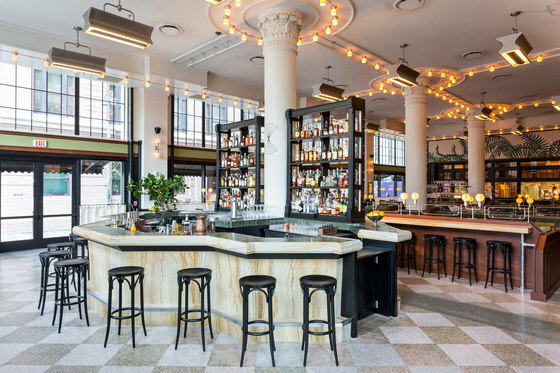 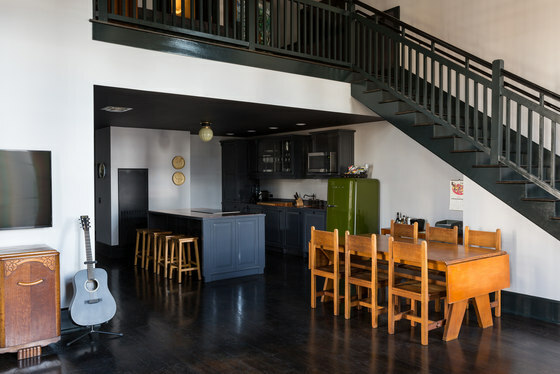 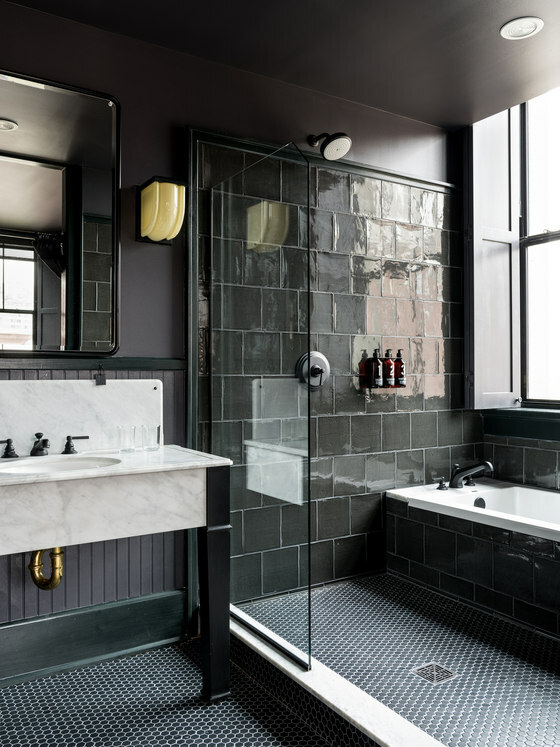 The Ace Hotel New Orleans is located on a corner lot in the historic Warehouse District, within walking distance of a gourmet grocery, upscale retail establishments, and a variety of fine dining options. 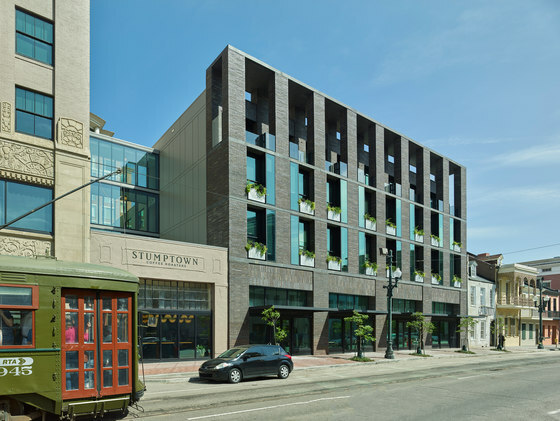 This 184,000-square-foot mixed-use development centered around the renovation of an existing 9-story circa 1928 building. 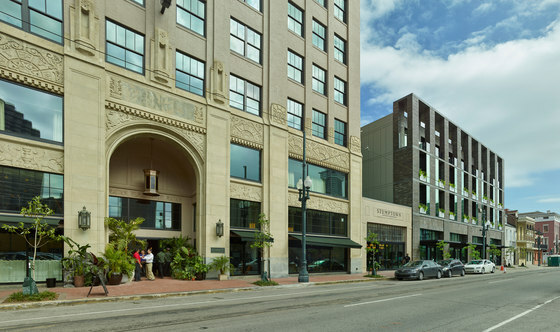 Once the home of the largest furniture store in the South, the building was designed by Weiss, Dreyfous and Seiferth, architects of the Louisiana State Capitol. 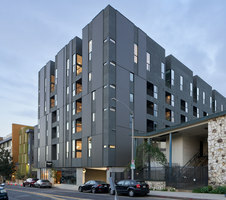 In addition to renovating the Art Deco building, the project included a 4-story addition. 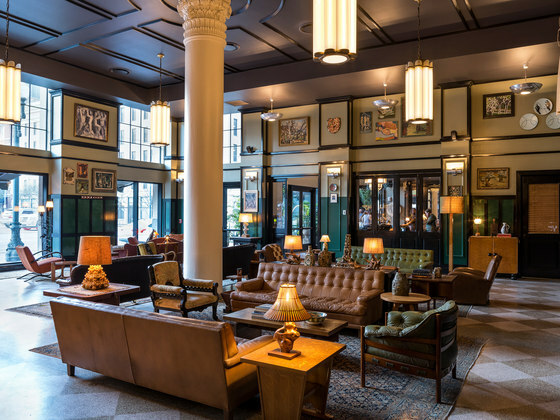 Specific program components include a 234-room boutique hotel, bar, restaurant, meeting spaces, and retail. 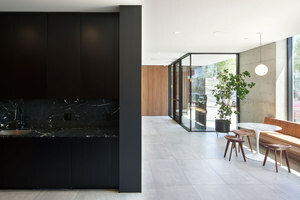 The addition complements the original building, referencing the existing building through the use of hand-made brick masonry and cast stone cladding. 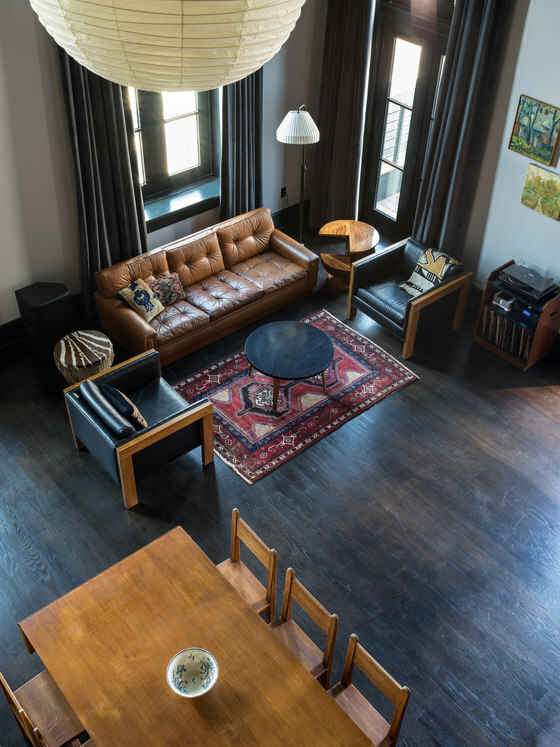 The project is punctuated with elements that recall images of New Orleans, such as a carriageway and courtyard, balcony gardens, and an eclectic collection of interior materials and furnishings. 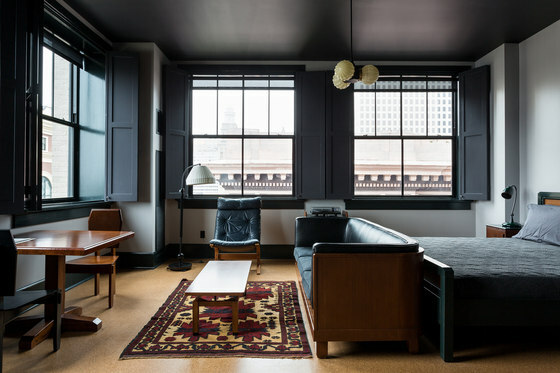 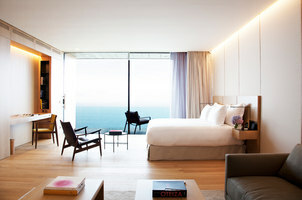 Each hotel room pays tribute to the unique culture and history of the city, creating an authentic experience for guests. 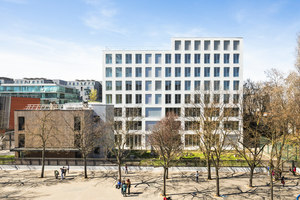 Major and minor subdivisions occur along the art deco brick and limestone cladding of the existing building and the darker brick cladding of the newer building. 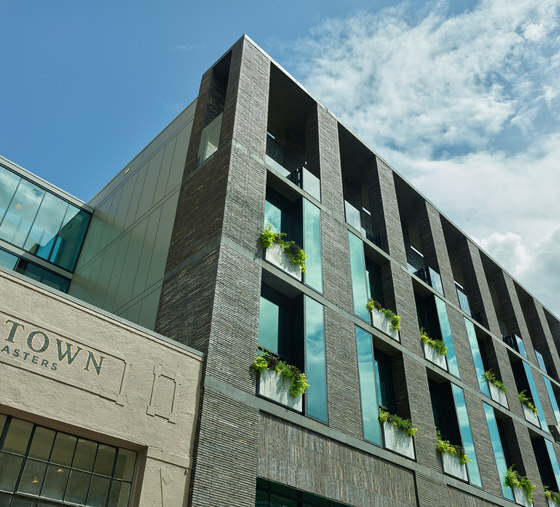 The newly constructed building is connected to the existing structure by a minimal glass bridge, set back from the street in order to preserve the historical one-story garage—now front-end retail—below. 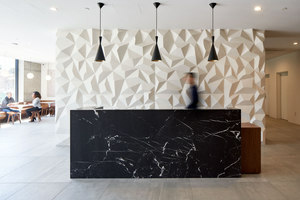 The new building is a quiet, elegant reinterpretation of its classic neighbor and was designed as a contemporary homage to the adjacent Art Deco character. 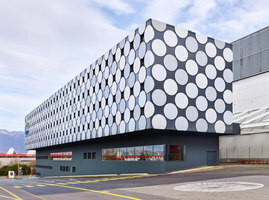 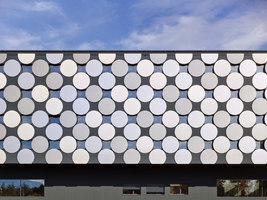 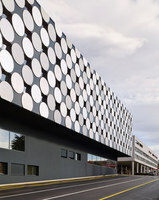 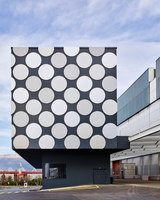 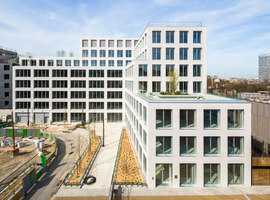 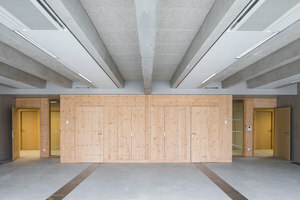 The new building’s strong base and complex texture play off of the pattern of the existing building’s façade, complementing the original structure without competing with it. 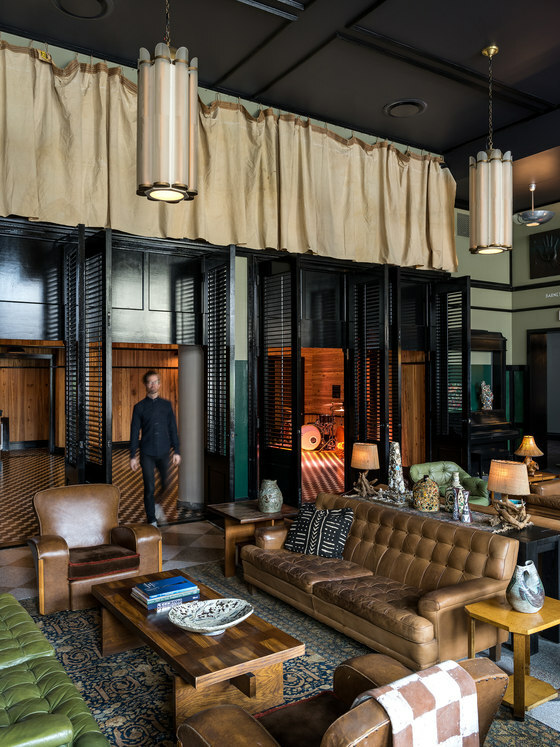 The deep recesses of the balconies at the top floor offer a contemporary relief to the punched openings of the existing structure and reference back to the heavily ornamented top floor of the existing art-deco building. 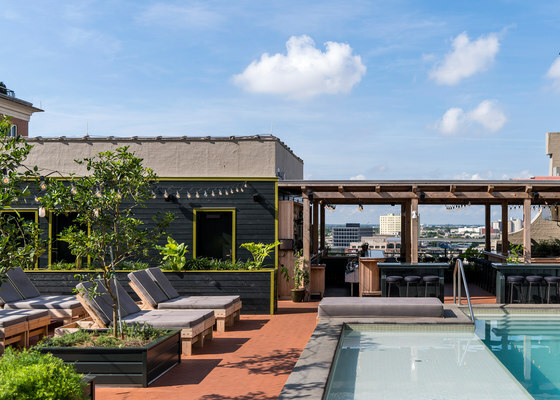 Upgrades to the core—including additional lateral bracing, new elevator and new stairwell—were added to the center, providing structural and life safety support for the rooftop pool and assembly occupancy. 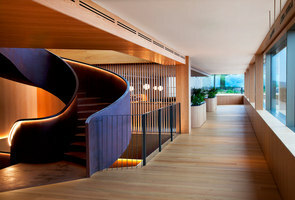 The original building’s vestibule and ground floor, previously dedicated to the building’s former use as an office building, now serve as the main lobby and signature restaurant. 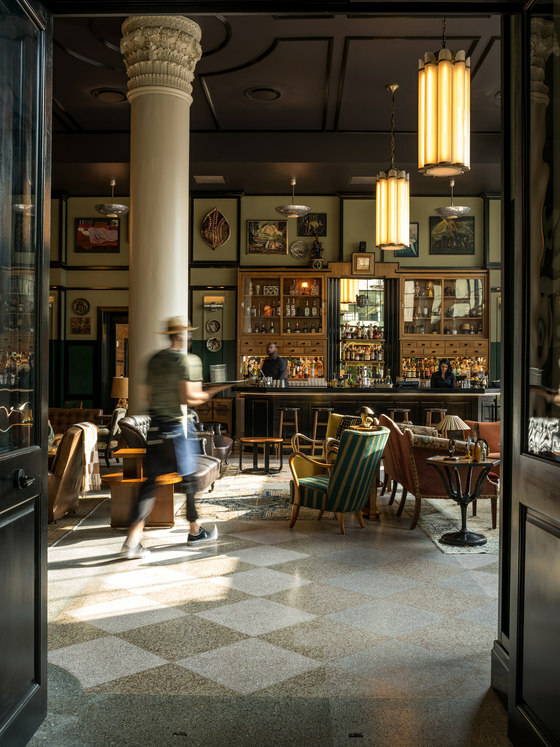 The interior features restrained finishes and a lively but warm character that provide a welcome contrast from the art-deco ornamentation of the building’s base. 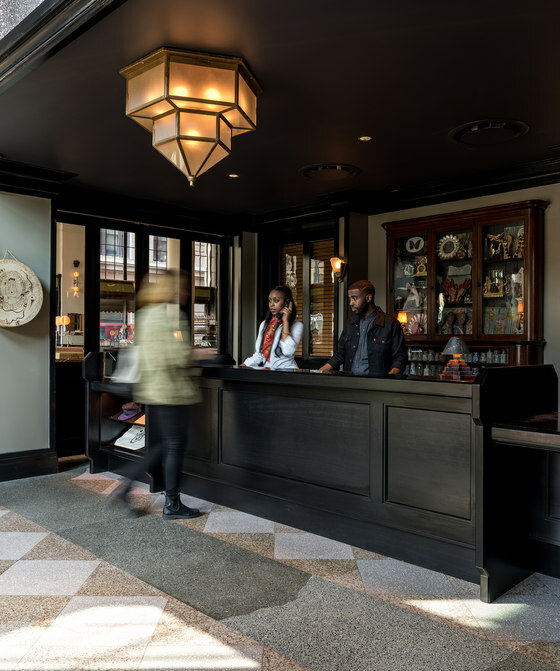 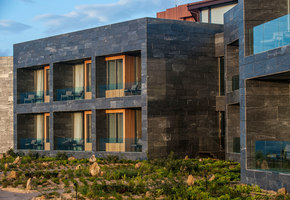 The main lobby includes a variety of elements that are all part of the hotel brand’s aesthetic, while incorporating many elements from the existing building. 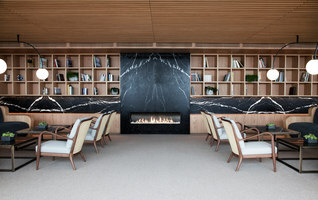 These existing elements are complemented by custom solid wood paneling and trim that round out the character of the hotel’s interior experience. 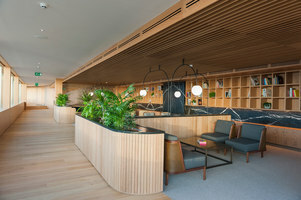 The interiors of the hotel rooms and suites continue the theme of new custom millwork in dialogue with existing building elements, including the introduction of new mezzanines at the ninth-floor penthouses. 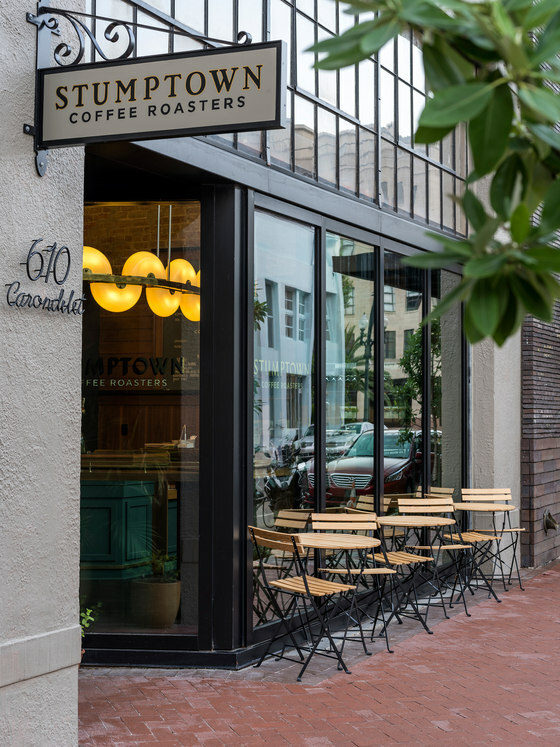 A mid-century renovation drastically changed the entryway to the building, infilling the vestibule with an aluminum storefront system with mirrored glass, and replacing the original wood-framed double hung windows with fixed aluminum storefront windows that did not reflect the building’s historic character. 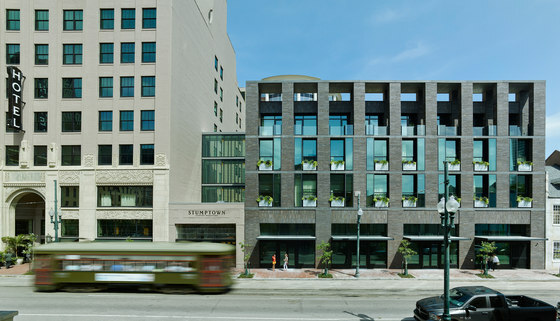 The entryway was restored, and the 1970 windows were replaced with a custom high performance window system, with the profiles and site lines matching those of the original building. 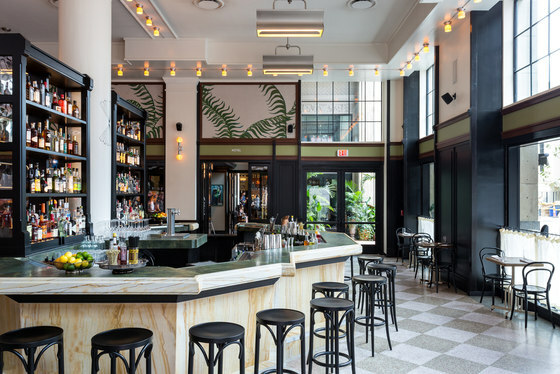 The existing terrazzo floors were carefully refinished, and the existing concrete and plaster Corinthian columns were refurbished, with capitals replaced in custom plaster where they had been removed over time. 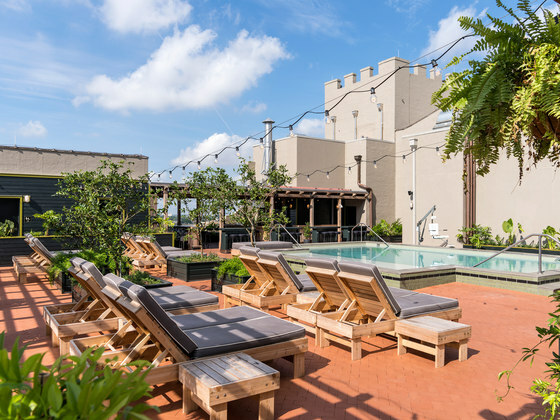 A new rooftop pool deck and lounge atop the existing historic building features dramatic downtown views within a setting defined by lush plantings and overhead wood trellises, giving this space an overgrown, jungle-like look and feel.